Comment: Steep Trail leading from home to very small lake. Comment: I have a 3-bay garage with wood siding that I would like to have replaced with artificial stone or real stone (depending upon cost). Comment: I would like a estimate. its a small job. I would like 3 steps installed. Its a 2 ft. I would like them to be stone. Comment: Need help finishing a our back patio of quartzite stone mats layed on sand approximately 670 sq feet. We need a border (approximately 93 linear feet) to finish the patio, leveling and steps to the house and any other ideas to make it look finished and professional. Thank you! Comment: We're interested in having some faux stone accents added to the front of our house. Comment: Garage has been turned into living space and need the exterior to match the existing home with some brick added. Comment: I would like to install a patio but may require additional stone work... also considering a fire pit. Carnation Brick & Stone Masonry Contractors are rated 4.79 out of 5 based on 341 reviews of 15 pros. 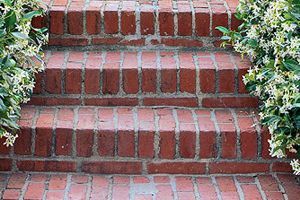 Not Looking for Brick & Stone Contractors in Carnation, WA?